In order to get their full driving licence, learners have to dedicate a lot of their time towards passing the theory and practical tests. 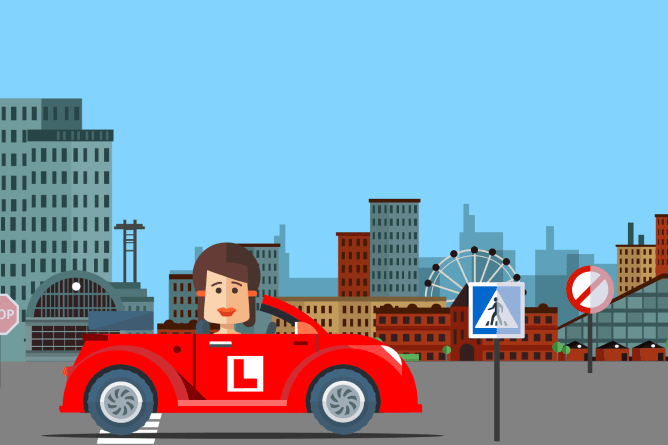 From revising the intricacies of the theory test to spending up to 50 hours or more in professional driving lessons, learners certainly have their work cut out for them. That’s why it can be beyond infuriating when your theory or practical test ends up being cancelled by the DVSA. Fortunately, if you get a late driving test cancellation, you might be able to make a claim and receive some compensation for your efforts. 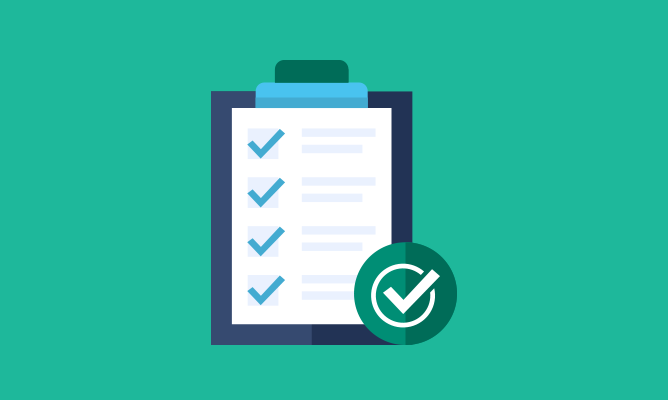 In our latest guide, we’re looking at what counts as a late theory or driving test cancellation and how exactly you would go about making a claim for a driving test cancellation. Can I make a claim if my test has been cancelled? 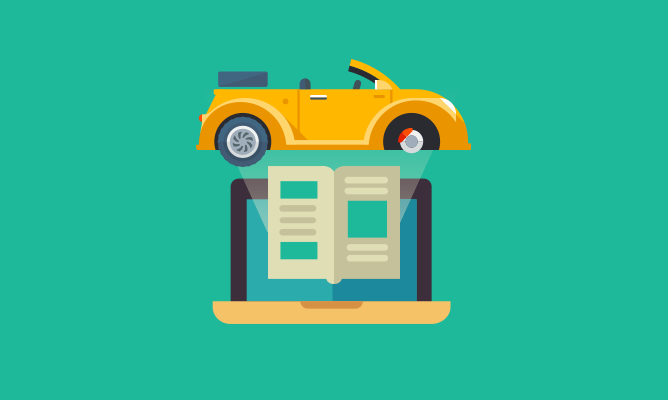 So, you’ve been preparing for weeks for your theory test—making use of top theory test resources and cramming revision in whenever you can. Or maybe you’ve spent months learning to drive, with over 40 hours of professional tuition under your belt. In either case, you’ve put in a lot of time and effort. That’s why it can be incredibly irritating when you show up to the test centre only to be told that your test is no longer going ahead—especially if you’ve already gone through the many stages of test day nerves! If this has happened to you, you might have the option of making a claim for any out-of-pocket expenses. Of course, this all depends on a few key factors. For starters, in order to make a claim, your test has to be cancelled on “short notice“. According to the DVSA, short notice means less than 3 working days’ notice. Please note that Sundays and public holidays don’t count as working days. Of course, it’s not just about how much notice is given with late driving test cancellations. It also depends on the reason for the cancellation. Let’s take a look at the type of situations in which you would and wouldn’t be able to make a claim below. If your examiner is on annual or special leave, it might be the case that the centre can’t find a replacement examiner to take your test—many test centres suffer from examiner shortages. If your examiner is ill or has an appointment on short notice, then it’s likely your test will have to be cancelled. Though examiner strikes are relatively rare—the last one was in December 2017—they do happen. In these cases, there usually aren’t enough examiners to cover all of the tests. Sometimes, theory and practical tests end up being cancelled due to issues with the DVSA’s booking system, e.g., you show up only to find that your test isn’t on their system. 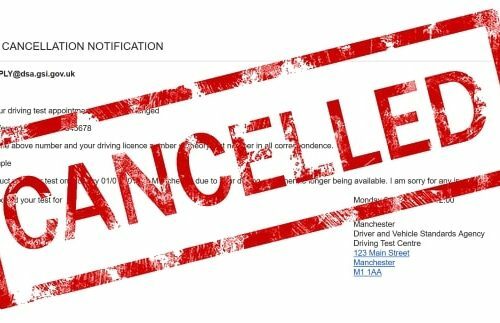 PassMeFast has seen plenty of driving test cancellations in the face of extreme weather—you know how the UK gets when it’s hit by the slightest bit of snow! Unfortunately, no matter how frustrating this is, it’s not the DVSA’s fault—no one can control the weather after all. If you’re late to a test, you won’t be able to claim expenses. It doesn’t matter if it was because you mixed up test centres or got caught out by bad traffic. It’s on you, not the DVSA, to show up to your theory or practical test centre on time. If your instructor calls you last minute to tell you that they won’t be able to take you to your driving test because they’re ill, for example, the DVSA won’t refund you for missing the test. As unfortunate as it is, it’s a problem on your end, not the DVSA’s. You won’t be able to take the test if your car isn’t roadworthy. If you’re using your instructor’s car, you usually won’t have to worry about this—they’ll make sure everything’s up to scratch. If you’re taking the test in your own car, however, you might have missed something—if your test is cancelled as a result, you won’t be able to make a claim. Want to make sure this doesn’t happen to you? Check the guidelines for roadworthy vehicles. If you have to cancel a theory or driving test without giving three working days’ notice to the DVSA, they won’t refund your practical test. 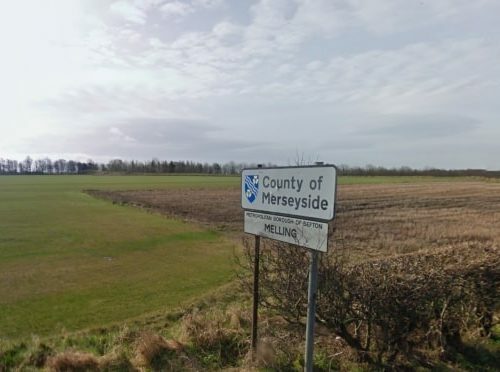 Changes were made in 2014, however, to allow candidates to do so without the full notice period if they have a medically certified illness, suffer a bereavement, have school exams or are called for duty as a member of the armed forces. To summarise: if you receive a late cancellation from the DVSA and it’s their fault, then you’ll usually be able to claim out-of-pocket expenses. 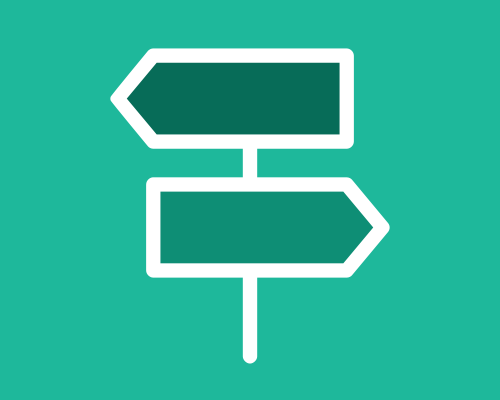 ✓ Travel arrangements: the cost of getting to and from your theory test centre. ✓ Standard pay or earnings: if you took unpaid leave, you can claim back the pay—typically half a day on the day of the test, after tax and National Insurance. 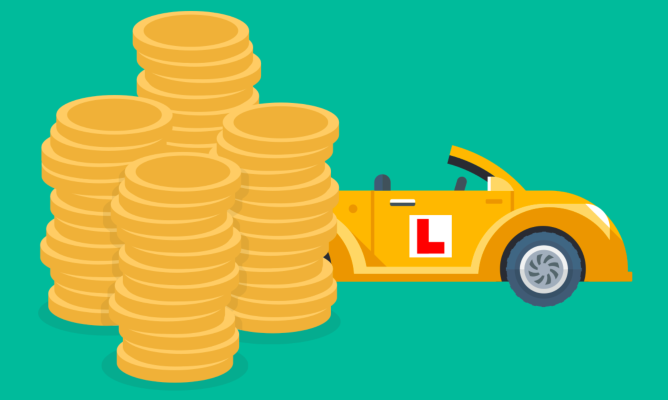 ✓ Instructor costs: you can claim back the cost of using your instructor’s car for the test and the lesson you had before the test (if you had one). The cost is typically based off your instructor’s standard hourly rate. ✓ Travel arrangements: if you had to, say, get the train to meet your instructor for your practical test, you’ll be able to claim back the cost. ✓ Use of your own vehicle: you can claim back a set rate per mile to travel to and from the practical test centre. ✓ Standard pay or earnings: if you took unpaid leave, you can claim back the pay—typically half a day on the day of your test, after tax and National Insurance. ✗ The cost of any driving lessons you might have had leading up to your practical test (not including any on the day itself). ✗ The expense of any extra driving lessons you’ve decided to take whilst waiting for your new test date. ✗ The cost of any training courses you took before your theory or practical test appointment. ✗Any overtime or commission payments you lost out on as a result of going to your theory or practical test. And now onto the part you’re most interested in—the actual process of making a claim for a late test cancellation. Making a claim is relatively straightforward with the DVSA. You’ve just got to fill out the DVSA’s claim form and include any relevant information. You’ll also have to sign it and give the DVSA permission to get in touch with your employer or instructor. If you’re making a claim for a cancelled driving test, then your instructor will need to get involved. They’ll either need to fill out section 2 of the form, or provide a signed and dated receipt on letter-headed paper (or carrying a school stamp) that shows their standard hourly rate. Please be aware that the date of the receipt must match the date of your cancelled test. ✓ Receipts for the cost of travelling to and from your test. ✓ A letter from your employer (on headed paper) that confirms you took unpaid leave—showing your lost earnings (not included income tax and National Insurance) usually for half a day only. ✓ Receipts for any other expenses you had to pay on the day of your cancelled test. These receipts must show your name, the amount charged and the period covered. Please note, if you can’t back up your claims with receipts, documents and contributions from your instructor (if necessary), it’s unlikely that you’ll will be successful. Additionally, you have to make a claim within 6 months of the date of your cancelled test. You can send your claim form and supporting documents for your cancelled theory or driving test to one of the addresses below. Recently had your theory or practical test cancelled last minute by the DVSA? Then you’ve probably been given a new test date that’s much further down the line than you’d originally planned. 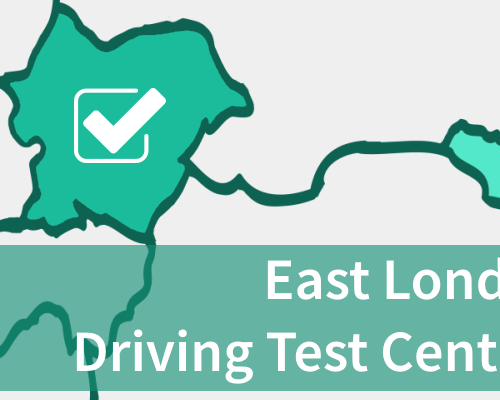 Depending on your chosen test centre, you could be looking at waiting times that are months long! If you don’t fancy waiting that long (who would?! ), why not do something about it? PassMeFast can fast-track your test—whether it’s your first test or a new date offered by the DVSA—so that you’re not waiting around. And if you’re in need of a quick refresher after having your test cancelled, we can offer you one of our popular refresher courses! It couldn’t be any easier—or quicker—to get on the road than with PassMeFast. To get booked in today, simply give us a ring on 0333 123 4949 or check out our fast-track tests and course prices. 1. What happens if my test is cancelled? Depending on how last minute it is, you might get a cancellation email from the DVSA. However, you might be on the road having a quick lesson before your test, in which case, you won’t see the email in time. If this happens, you’ll simply be told that your test has been cancelled upon arrival. 2. How long do I have to wait to get my new test date? If it has been cancelled by the DVSA, they’ll usually send you a new test date within 3-7 working days. This does, however, depend on how busy they are. When it’s bad weather that lasts a few days or more, it might take the DVSA longer—they’ll be dealing with hundreds of cancellations and rebookings, after all! 3. What if I want to cancel my driving test? are called for duty as a member of the armed forces. 4. Do I still have to show up for my test if I think it will be cancelled? Unless you get an email from the DVSA telling you that your test has been cancelled, you have to assume that it’s going ahead. If you don’t show up, you run the risk of not being able to get a refund. 5. The DVSA has given me a new test date months away. Is it possible to change it? Yep. It’s as simple as getting in touch with PassMeFast today. We can get you a new test date that’s well ahead of DVSA waiting times. We’ll also take into consideration your personal preferences and availability. 6. Can I make a claim if my test has been cancelled due to bad weather? Nope. 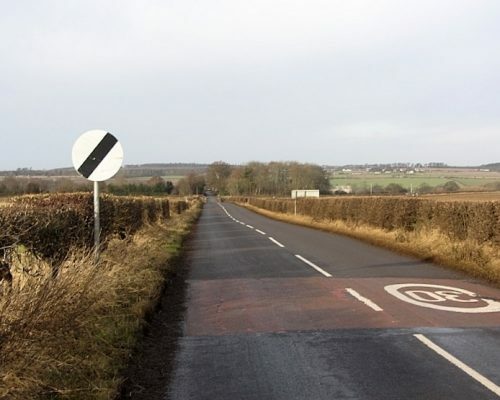 Remember—the weather is out of the DVSA’s control. They won’t be able to refund you for travelling to the centre or using your instructor’s car. They will, however, reschedule your test at no extra cost. 7. How long do I have to make a claim? According to DVSA guidelines, you have to make a claim within 6 months of the date of your cancelled test. If you do it any later, you won’t be able to claim your out-of-pocket expenses. 8. How do I claim my unpaid leave if I’m self-employed? If you’re self-employed, you might have to provide a Self Assessment analysis of your last yearly income. This will help the DVSA calculate how much unpaid leave you’re owed.